As a Literacy Center volunteer, your words will enrich the lives of local residents who want to improve their literacy skills. And we can promise that your life will be enriched in return! It is humbling. You never think about how hard it is. I'm lucky to work with someone very smart. I have fun! That’s the number of West Michigan adults who struggle with low literacy. 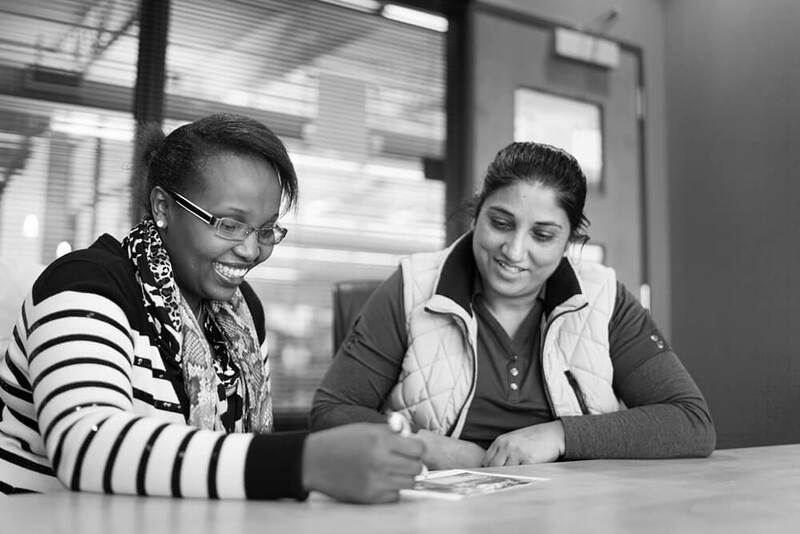 So we have an ongoing need for volunteer tutors to work one-on-one with adult learners. You don’t need any special skills to be a tutor—just the ability to read and write English, and a passion to help others do the same. Our Volunteer Orientation will give you everything you need to get started, and our Tutor Resources are always available. Fill out the Volunteer Interest form below or call 616-459-5151 to explore our volunteer opportunities. Interested in employment? Check our Careers page. Please send me more information, I'll schedule orientation later. Tips and tools for tutors. Submit by the first of each month. Submit after the first meeting with your learner.